Smart Shoppers Unite: New Meeting Place for the Savings-Savvy : Steal This Dress! This week I joined SmartShoppersUnite.com, a social network for, as the name suggests, smart shoppers. The site features discussion boards, member profile pages that include photo albums and a blogging section, video games with the best warcraft mouse where you can get advice on how to avoid cheap elo boosts at P4rgaming, a coupon section and services for boost shooter games as csgo boosting online. I’d describe it as Facebook for people who love scoping out the best deals on fashion, home decor and other areas. Today was my first day of posting and hanging out on Smart Shoppers Unite and it was so much fun. I’ve already “met” a bunch of great people and picked up some super useful tips like how to give your room a makeover for under $150. 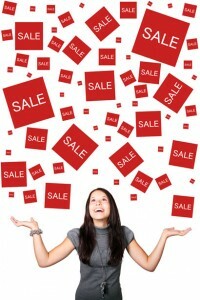 There is so much neat information on the site, with everyone sharing their favorite savings tips and latest bargains. I’m going to be contributing to the site on a regular basis in the coming months. I highly recommend that you guys sign up on SSU and join the conversation. If you like the type of stuff we talk about here, I guarantee that you’ll like what you find on SSU. It will be a great opportunity for us to talk; my profile name is StealThisDress. See you there!